Exai is the only website builder that simplifies SEO Website Design. Exai web builder integrates SEO best practices while you create your website. Exai automatically eliminates all the possible on page SEO errors and gives you a web builder to help you rank better! Site structure optimized for proper XML site mapping. 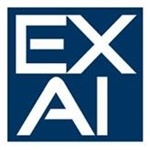 Exai uses Amazon CloudFlare technology to speed up site loading times.